18 Results exactly matching the search phrase. 18 Results matching product descriptions. 1 Results matching title or description. The PC HD Component Distributor 1 input : 3 output (w/ Stereo Audio) accepts one PC or High Definition Component (Y/Pb/Pr) input signal source for distribution to three PC monitors or HDTV displays. PC input up to UXGA resolution and High Definition input up to 1080p are supported with output signal equaling input signal. The 1 by 8 HDMI Splitter transfers 3D content, Deep Color (10-bit and 12-bit) video and new lossless compressed digital audio (Dolby TrueHD, Dolby Digital Plus and DTS-HD Master Audio). Not only does it handle the splitting and distribution of video signals, but it also amplifies and equalizes the signals to provide high-performance input/output of audio and video content. 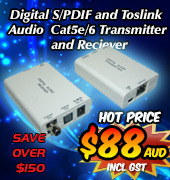 1 x 2 DVI Splitter DA distribution amplifier is designed to split a DVI signal to two DVI monitors without signal loss or degredation. Connect your DVD player, PC or Game Console to display to two separate screens. 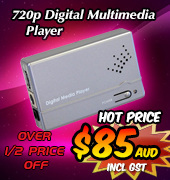 Supports PC resolutions VGA up to WUXGA and HD resolutions 480p up to 1080i/p (not 480i/576i). Ideal for shop signage displays and video distribution between and around large rooms or buildings. The HDMI UHD 4k2k 1 In 2 Out Splitter with HDCP 2.2 is the latest release UHD 4k2k technology for splitting an HDMI signal into two identical HDMI signals. It provides high performance video and audio signal transmission via HDMI cables, using resolutions up to 4K2K@60Hz (YUV420). It is capable of receiving and transmitting up to 9Gbps of bandwidth, with no data loss and gives full support for many of the latest HDMI v1.4 features. The HDMI UHD 4k2k 1 In 2 Out Splitter with HDCP 2.2 ensures the reliable distribution of two equal yet separate high-end HDMI signals to two separately located HDMI enabled HDTV's. The Dual CAT6 to Dual CAT6 and 3 HDMI Splitter is designed to terminate a dual CAT5e/6/7 cable carrying a HD video and audio transmission signal into three(3) separate but equal HDMI outputs, while presenting the CAT5e/6/7 received signal as a 'Repeater pass-thru' output. 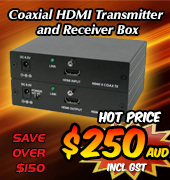 Connect HDTV's to each of the HDMI outputs for local distribution, while another three(3) HDTV's can be connected to the next ID#761, when linked by a CAT cable via the Repeater pass-thru port. The HDMI UHD 4k2k 1 In 4 Out Splitter with HDCP 2.2 is the latest release UHD 4k2k technology for splitting an HDMI signal into four identical HDMI signals. It provides high performance video and audio signal transmission via HDMI cables, using resolutions up to 4K2K@60Hz (YUV420). It is capable of receiving and transmitting up to 9Gbps of bandwidth, with no data loss and gives full support for many of the latest HDMI v1.4 features. The HDMI UHD 4k2k 1 In 4 Out Splitter with HDCP 2.2 ensures the reliable distribution of four equal yet separate high-end HDMI signals to four separately located HDMI enabled HDTV's. The Component 4 In 4 Out Matrix with Digital and Analog Audio provides an excellent solution for connecting multiple devices and displays together via Component Video, as well as distributing Audio signals. The matrix box has options for both Digital (Coaxial) and Analog (Left/Right) audio Input and Output, giving you greater flexibility when it comes to audio distribution. 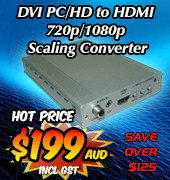 Supports high resolution input/output up to 1080p. The 32 by 32 Modular Matrix is designed to allow the switching and distribution of up to 32 source devices to up to 32 connected displays, either directly via HDMI, DVI or via CAT5e/6/7 outputs to compatible receivers, providing control options (dependent on module configuration). HDMI to HDMI Distributor Amplifier - 1 input : 8 output allows one HDMI input signal to be distributed to eight High Definition TV's. It supports all HDMI compliant devices such as DVD players, Set-Top Boxes and Gaming Consoles, and is ideal for use in Home Theatres and Professional fields.